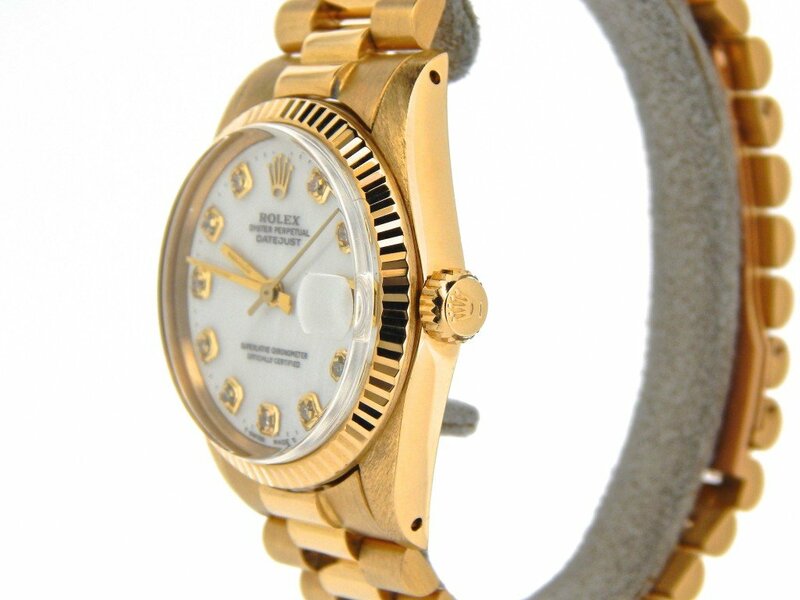 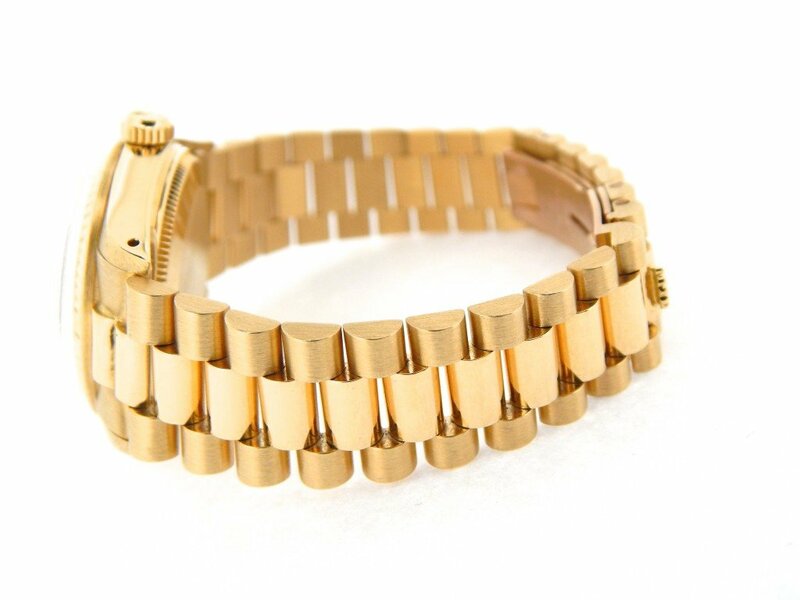 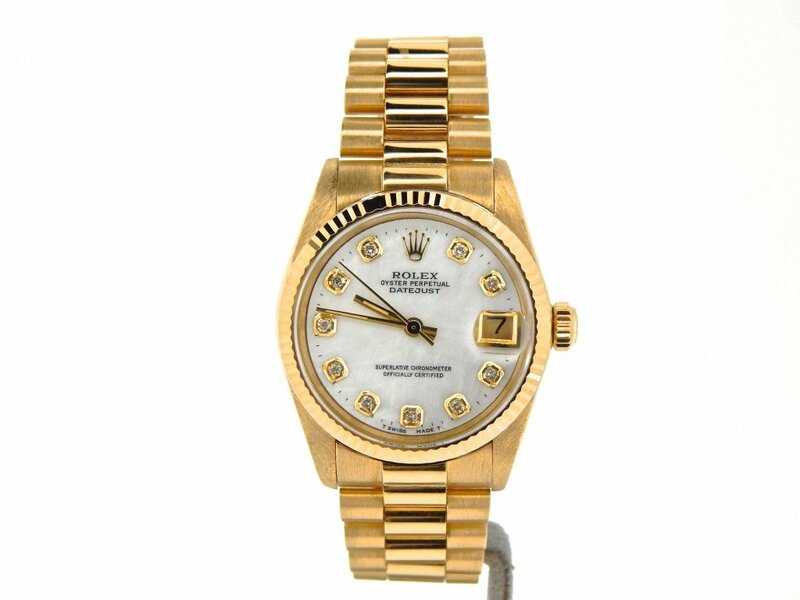 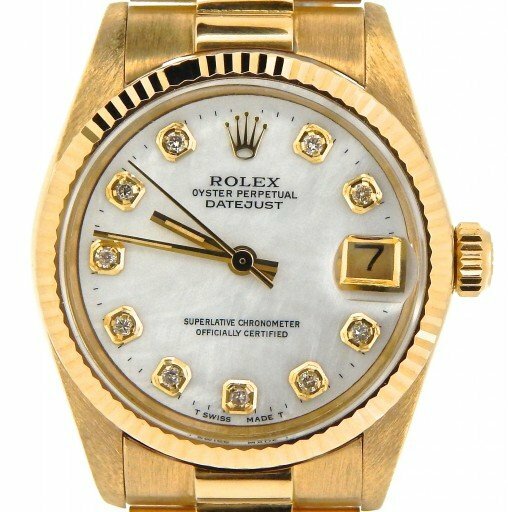 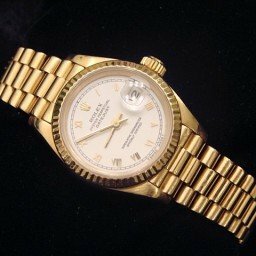 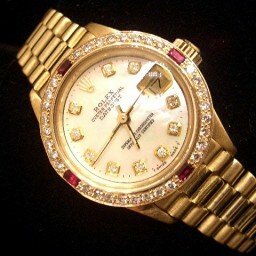 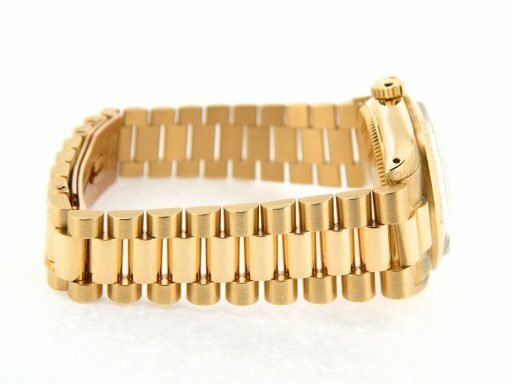 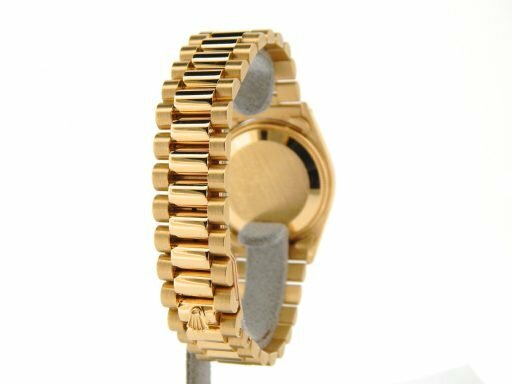 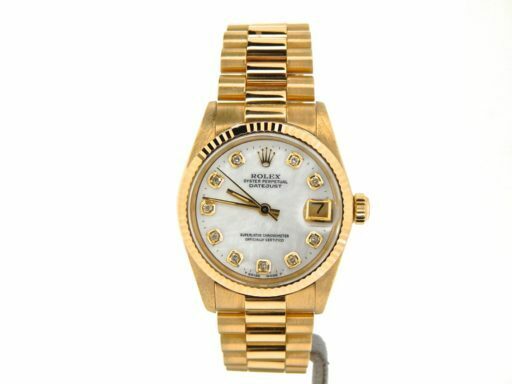 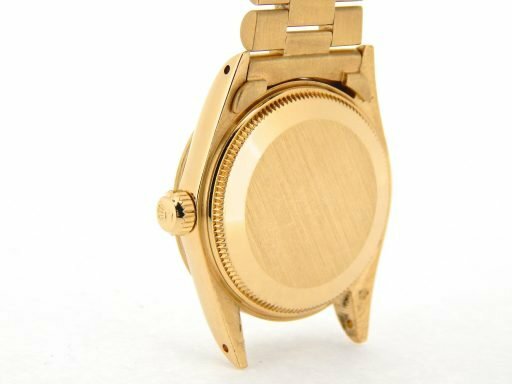 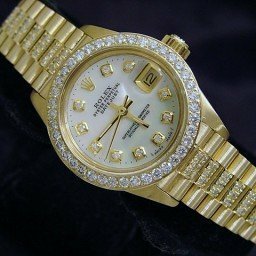 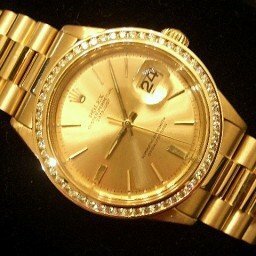 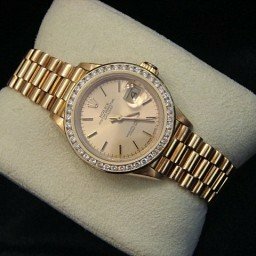 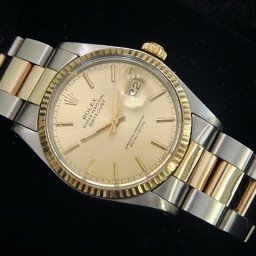 BeckerTime is proud to offer this super nice Midsize 31mm GENUINE ROLEX Solid 18K Yellow Gold Datejust Presidential Watch ref #6827 with Genuine Diamonds and White Mother of Pearl custom added to the dial. 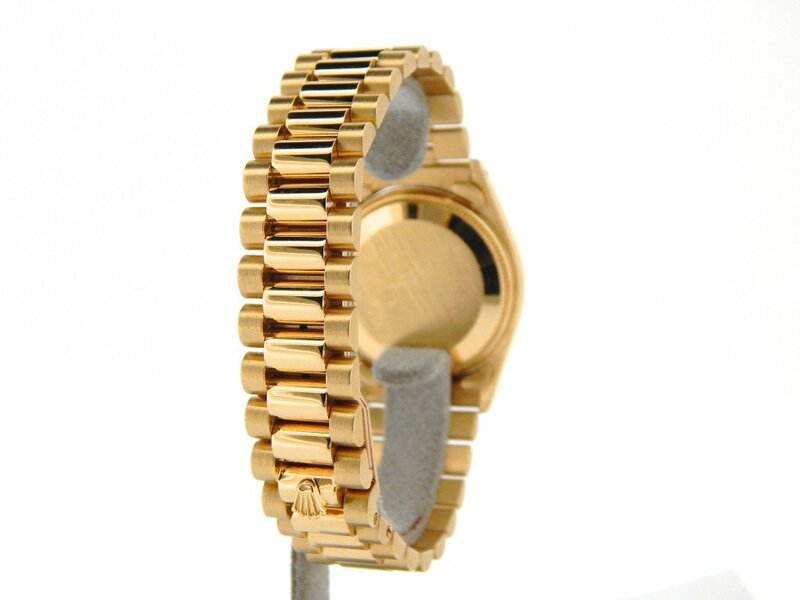 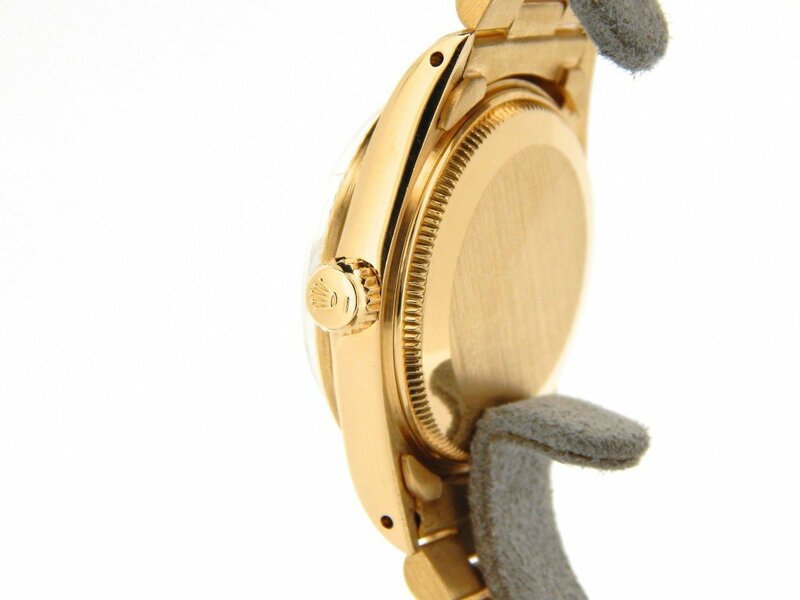 And it get’s better…This GENUINE ROLEX has a Rolex President band. 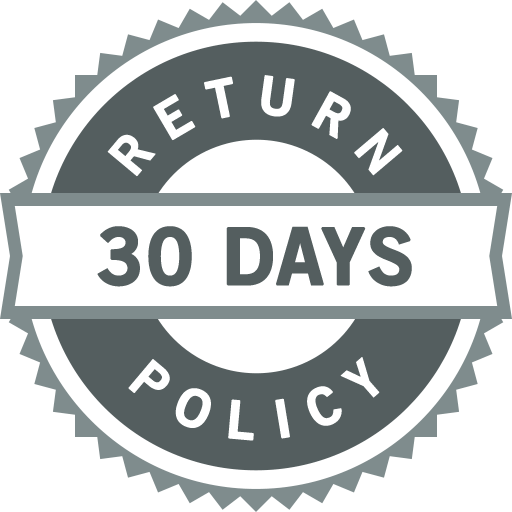 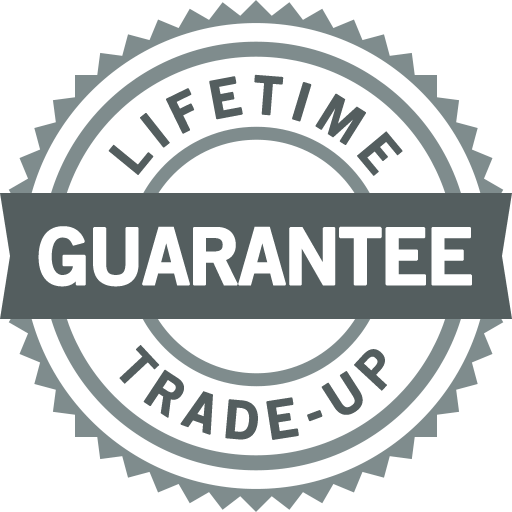 It is in SUPER EXCELLENT CONDITION and comes with a BeckerTime 100% Lifetime Trade-Up guarantee!